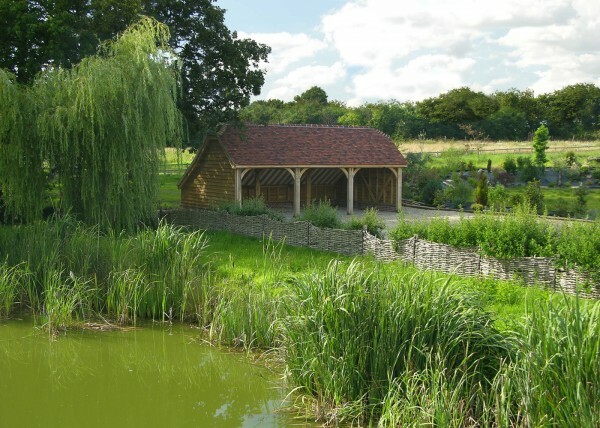 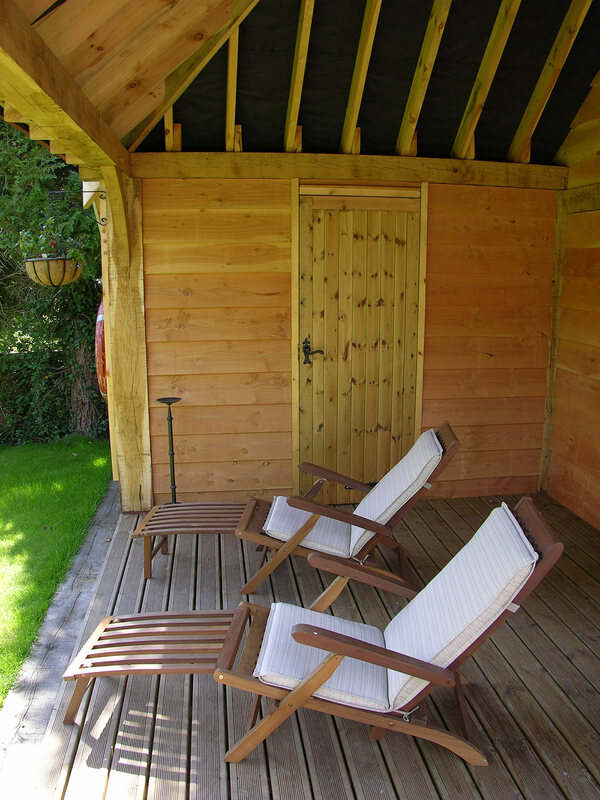 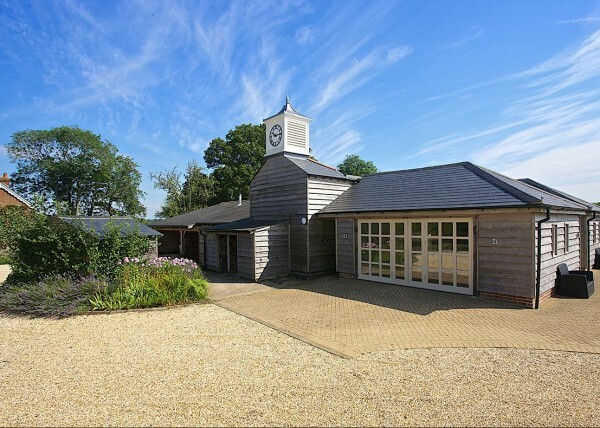 This oak framed building not only houses the swimming pool pumping and heating equipment, but creates a lovely changing room area. 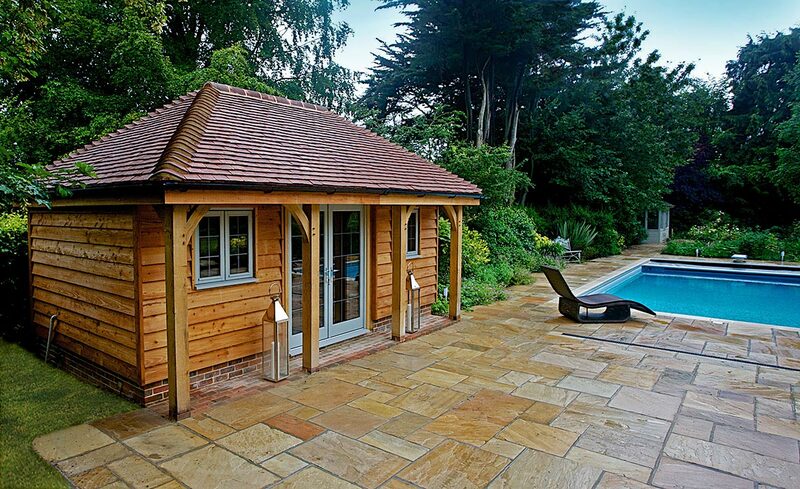 The recessed front access reveals the oak knee-braces of the frame on this pool room. 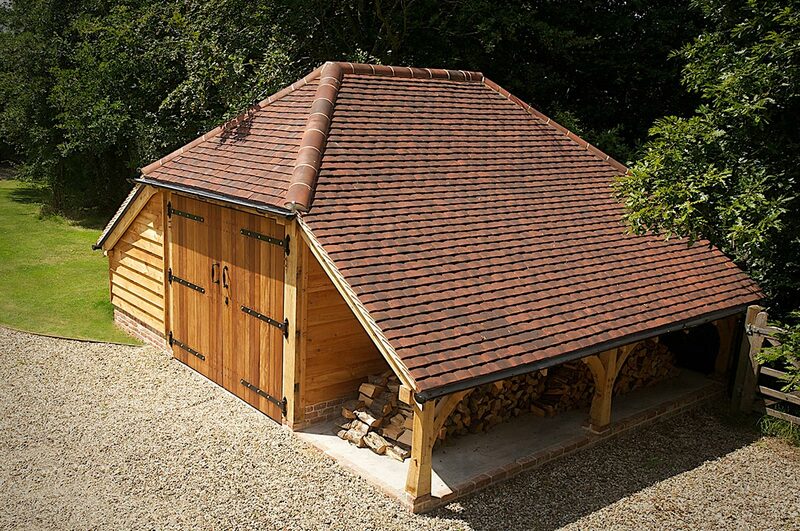 You don’t need acres of space to enhance your property with a Brookwood Barn. 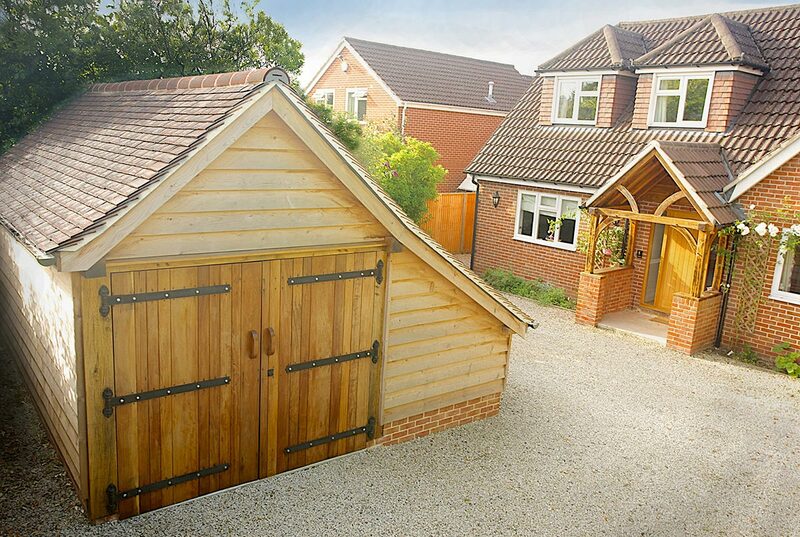 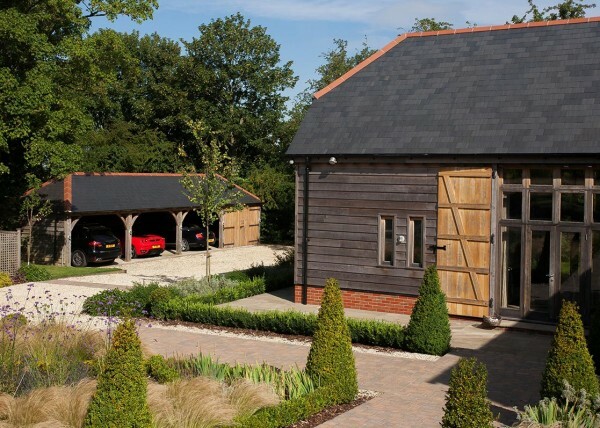 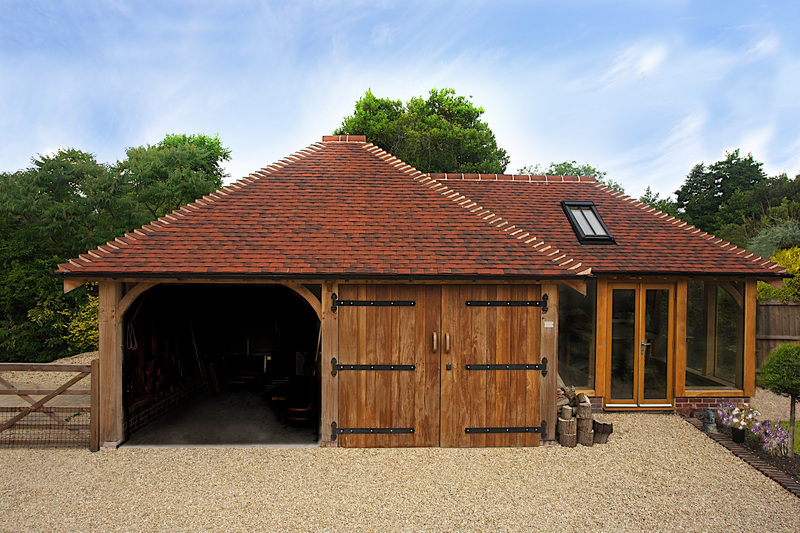 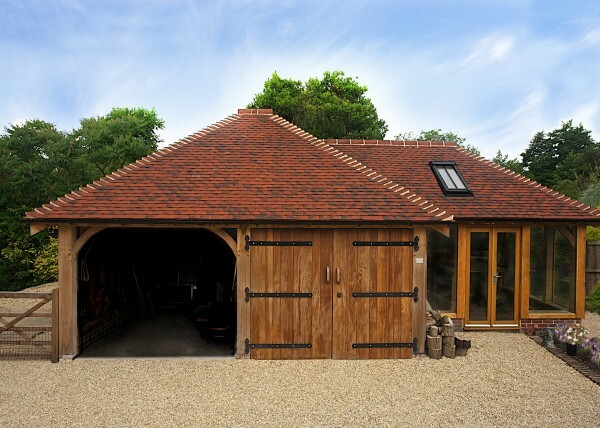 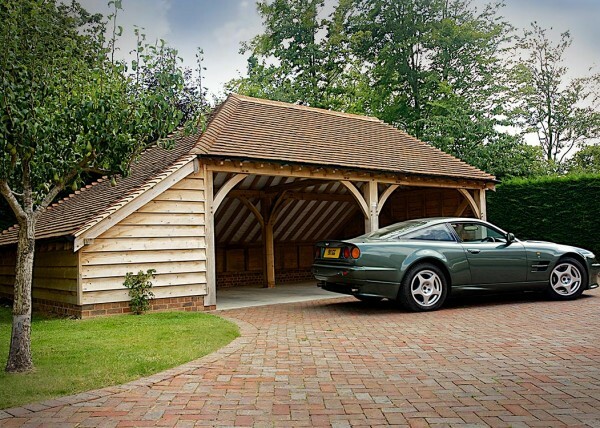 This one-bay cart barn in Newbury, Berkshire, has internal and external log stores. 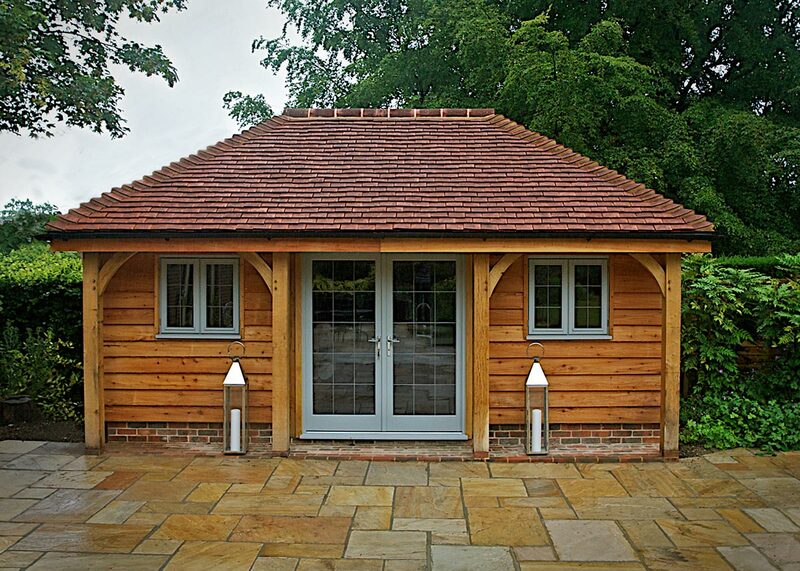 This open sided building creates a covered area which lends itself to a variety of uses. 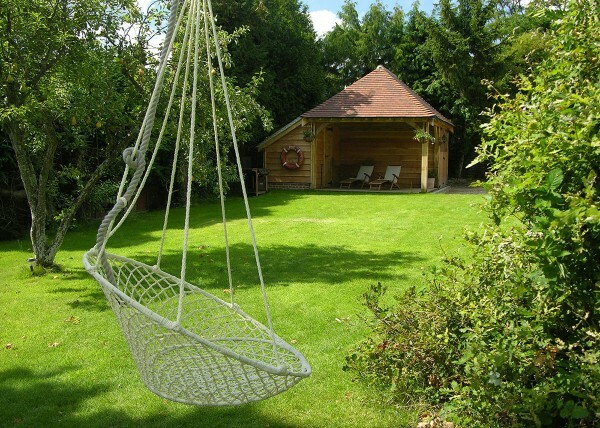 Perfect for relaxing by the barbecue on a Summer’s day, this standard C-section frame has been customised to give a more flexible use. 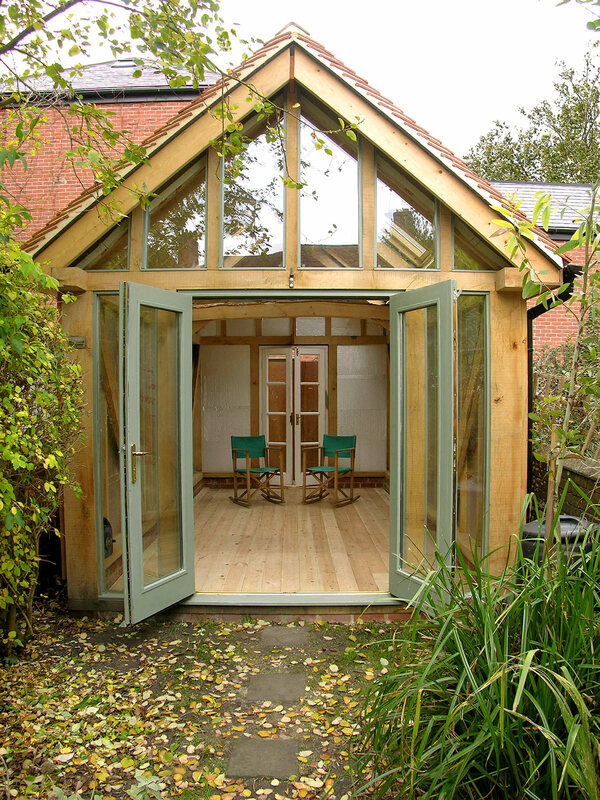 This adapted frame (A1) has been used to enhance a Victorian town house in Winchester, Hampshire. 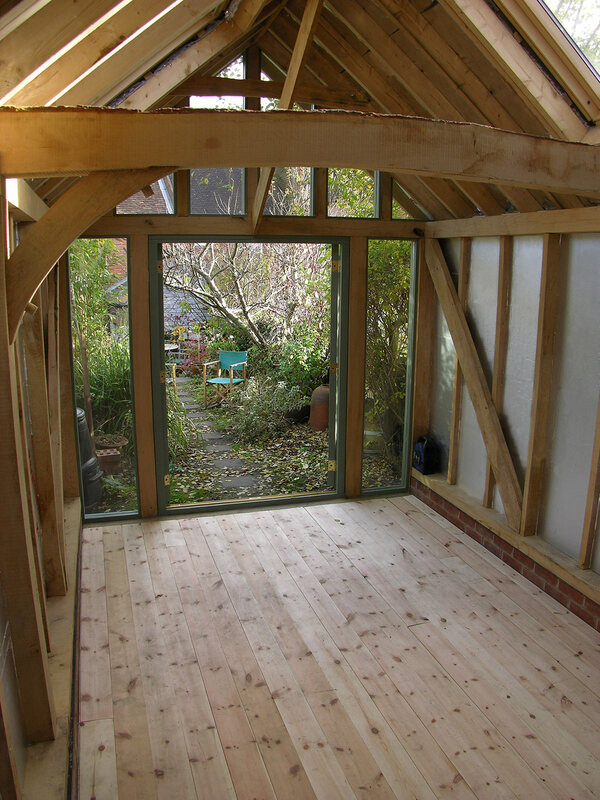 Well insulated and fitted with three Velux windows, this building creates a light and airy space work space. 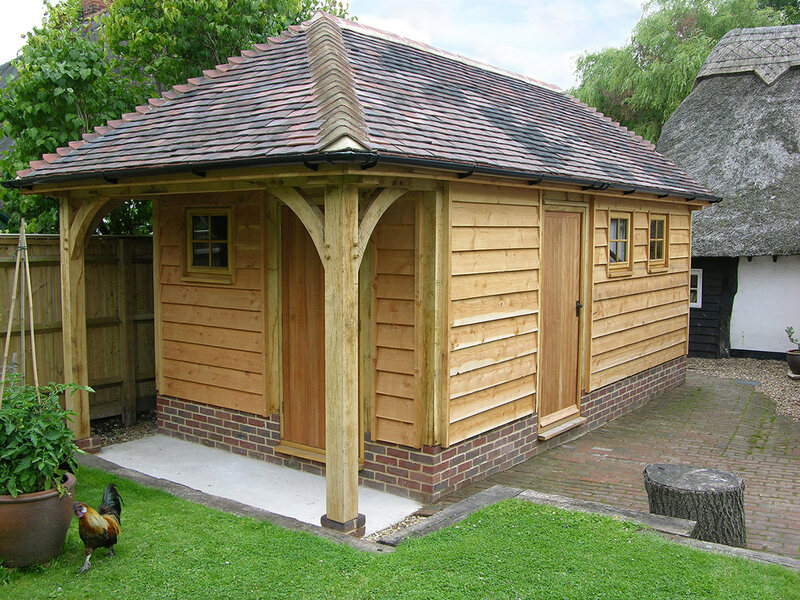 This small building was partitioned to create both a workshop area and a habitable space.